Vrijheid, a Swan 53, recently had its extensive teak deck refinished in Teak Life UV Gray. 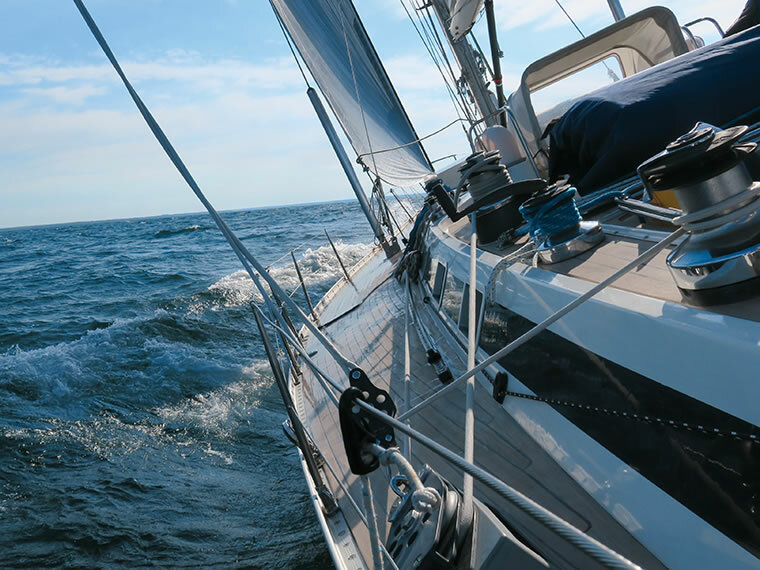 Vrijheid took 3rd in class in the 2018 Bayview Mackinac Race, and the teak deck proved invaluable during sail changes with the deck awash. The owner cruises extensively with his Swan and values the UV protection provided by Teak Life UV, extending the life of his deck indefinitely. Whether it’s on a classic racing yacht or family cruiser, Teak Life proves itself in maximizing the value and reducing the maintenance normally associated with a teak deck. Find out more about Teak Life UV.